New tourism minister Michael Ellis is keen to develop a positive agenda for the events industry, according to Business Visits and Events Partnership (BVEP) chair Michael Hirst. Since Britain joined the European Union in 1973, the European Investment Bank has lent €118bn to help fund UK infrastructure projects. The EIB subgroup is keen to understand the current levels of investment so that it can make recommendations to the Department for Digital, Culture, Media & Sports (DCMS) to keep the funding stream open. 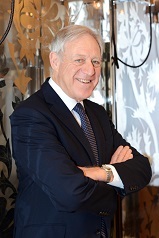 Michael Hirst OBE has been appointed as the new Chairman of the Events Industry Board by Michael Ellis MP, Parliamentary Under-Secretary for the Department for Digital, Culture, Media and Sport following the resignation of Nick de Bois last summer. Hirst has served as Deputy Chair since the creation of the Events Industry Board in 2016. 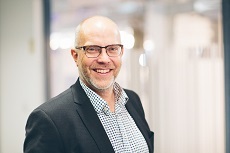 He is also Chair of the Business Visits and Events Partnership, the organisation that connects the leading trade and professional organisations, government agencies in the events sector. Hirst also serves on the Tourism Industry Council and is a Director of the Tourism Alliance, he is also a director and consultant to companies in the commercial and hospitality sectors. The Business Visits and Events Partnership’s “Insights into Britain’s Events Sector” will explain and promote the size and value of Britain’s events industry, its characteristics, trends, opportunities and key issues. The report will be used to profile the sector to politicians, media, related industries and the wider business community. It will also act as a valuable resource and reference for those working in the UK’s events industry. 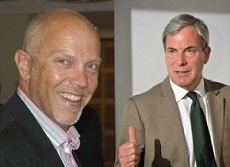 The Business Visits and Events Partnership (BVEP) has announced the re-appointment of Simon Hughes and Chris Skeith as Vice-Chairs for a further two year term.